Banks get 92% of their money by borrowing it, compared to about 55% for the average New Zealand business and this isn't in the best interests of New Zealanders, the Reserve Bank argues. In a speech to the Institute for Governance and Policy Studies at Victoria University, Deputy Governor and General Manager for Financial Stability Geoff Bascand says the Reserve Bank's proposals to increase the capital banks must hold are about making bank shareholders have more skin in the game. "When we talk about bank capital, we are talking about where a banks gets its money," Bascand says. "Banks get their money from two sources – either from the bank’s owners - its shareholders - or by borrowing it, from people like us, often in the form of deposits. The money banks get from their owners is the bank’s capital. The rest is borrowed – it is ‘other people’s money’. The average New Zealand bank gets around 92% of its money by borrowing it. Compare this with the average business in New Zealand, for which this figure is about 55%. If you are surprised by this fact, I encourage you to confirm this for yourself by taking a look at your own bank’s balance sheet on our Financial Strength Dashboard which is available via our website." "It is not clear to me why this discrepancy between banks and other businesses is so large, but perhaps at least part of it can be explained by the fact that, historically, governments have been much more reluctant to allow a bank to fail than other types of businesses, which may lead banks to operate closer to the edge," says Bascand. "We believe that this balance of funding sources is not in the best interests of New Zealanders, which is why we are proposing change." The Reserve Bank capital proposals, covered in this three part interest.co.nz series here, here, and here, have been made for a number of very important reasons, Bascand says. One of them is to require banks to "put more of their own chips – not yours – into the pot." "Put simply, skin in the game refers to the concept of having to bear the consequences of one’s own decision-making. By having minimum ‘skin in the game’ requirements, banking regulators ensure that the owners of a bank have something at stake, something to lose. I would like to note that banks themselves lend on these very same ‘skin in the game’ principles, for example, by requiring mortgage borrowers to provide a deposit," says Bascand. "At one time, the owners of a bank had plenty of skin in the game; in fact, there was a time when banks got most, or all, of their money from their owners. However, over the last century, banks have started to use less of their own money and more of other people’s, and the balance has almost entirely reversed. While we are not attempting to turn back the clock a hundred years, we want to swing the pendulum back in the other direction a little bit."  Banks being better able to absorb large, unexpected losses. Losses reduce the value of a bank’s assets, but have no effect on the value of the bank’s debts. If the assets fall in value so far as to be insufficient to cover what the bank owes, the bank is insolvent.  Society being less at risk from banking crises. Because more capital means banks are more likely to survive large unexpected shocks, society is also less at risk from the economic and social fallout that usually accompany bank failures.  Reduced fiscal risk. When the probability of a banking crises is reduced, so is fiscal risk. As the global financial crisis illustrated, when banks fail there can be a severe domino effect that puts pressure on governments to step in with financial support. The provision of a government guarantee on deposits during our own finance company crisis a decade ago is an example.  Bank shareholders and management being less inclined to take excessive risks." "Bank capital serves several purposes, but its primary job is to absorb losses. When a bank loses money, it is the owner’s money that is lost first, as it should be. Borrowing a poker analogy, if the bank’s skill and luck runs sour, it is the owners’ chips that are lost first, not the chips they borrowed," says Bascand. "In a bank’s case, the borrowed chips are the bank’s deposits and other money it has borrowed. Why, then, do banks operate with so few of their own chips at the table? While I will let banks answer that question for themselves, I will only say that an individual bank’s own goals and objectives do not necessarily line up with wider society’s." "While we recognise that these proposals may not align with the interests of banks’ shareholders, the key question is whether they are aligned with the best interests and wellbeing of New Zealanders," Bascand says. New Zealand banks must currently meet a minimum total capital ratio of 10.5% of their risk weighted assets. The Reserve Bank is proposing to increase this to 18% for banks identified as ‘systemically important’, ANZ, ASB, BNZ and Westpac, and 17% for all other banks. "Within this proposed increase from 10.5% to 18%, we are proposing to increase the minimum capital requirement for ‘Tier 1’ capital – a form of higher quality capital that can better absorb a bank’s losses – from 8.5% to 16% for banks that are identified as ‘systemically important’ and 15% for all other banks. Tier 1 capital is what we regulators refer to as ‘going-concern’ capital, meaning that it helps absorb a bank’s losses while the bank is a ‘going-concern’ – in layman’s terms, while the bank is ‘still alive’. It is this high quality capital in particular that would achieve our objective of making New Zealand’s banks more resilient to severe shocks," says Bascand. "The Reserve Bank also has a minimum capital requirement of 2% for ‘Tier 2’ capital, which we regulators refer to as ‘gone-concern’ capital, as it is only effective in absorbing a bank’s losses after a bank is ‘gone’ - after the bank has failed. Given that we are proposing to increase minimum requirements for the highest quality Tier 1 capital from 8.5% to 16% or 15%, our most recent consultation paper asks the question of whether this lower quality Tier 2 capital is needed as part of the capital framework at all." "Of the proposed minimum Tier 1 capital requirement of 16%, the first 6% will consist of a regulatory minimum that banks are not to breach, to do so would trigger resolution or failure options, with the 10% that sits above that being what we call a capital buffer. We are proposing that the top 1.5% of this 10% capital buffer consist of a ‘counter-cyclical capital buffer’, which would be removed in the event of a large economic stress so that banks could continue to lend to support the economy during this stress period provided of course that the bank was fundamentally healthy," Bascand says. "While it would be up to individual banks to decide how to meet any increased minimum requirement, we believe these are all viable options. For example, we estimate that the large four banks could meet these new requirements by retaining about 70% of their expected profits over the proposed five-year transition period, with no need to slow down the rate at which they have grown their lending in recent years." "While I do not wish to pre-judge the input we will receive from this consultation, I do not believe I am making too bold a prediction in saying that we expect to hear strong opposition to these proposals from some banks," adds Bascand. In terms of how the Reserve Bank arrived at its proposals, Bascand says it began with the international standards set by the Basel Committee on Banking Supervision which is the primary global standard setter for the prudential regulation of banks. "These set the minimum capital ratio requirements at 10.5%, which is the level of New Zealand’s current minimum capital requirements. However, it is common to see other jurisdictions go above and beyond these standards to suit their particular circumstances. This is where our journey really begins, and it starts with the question: What are the correct capital requirements for New Zealand?" "We started with our legislative mandate of 'promoting the maintenance of a sound and efficient financial system' to guide our approach to answering this question. Our overall approach was to use what we call a ‘risk appetite framework’. The framework combines ideas about the impact of capital on the likelihood of a banking crisis, the impact of capital on output, and society’s tolerance for banking crises. We applied a risk-tolerance concept to the policy problem, 'How can we deliver a sound financial system for all stakeholders, not just the banks'?" "We then considered whether any extra gains could be made in the long-term outlook by increasing capital, by reducing the likelihood or impact of bank failure on GDP. This reflected the efficiency limb of our 'soundness and efficiency' objective. This meant that, where there was an opportunity to improve the stability of the financial system, and thus mitigate societal costs of crises, without economic costs, we would take it," Bascand says. "Several lines of analysis underpinned this policy approach. One of them was quantitative modelling. This required us to adopt a specific representation of society’s risk appetite. We could have carried this out in a complex way, however, this would only give an illusion of certainty. Instead we opted to adopt a simple decision rule – set capital to cap the probability of a systemic crisis at a low level – once in every two hundred years. By setting a one in two hundred year risk appetite, we are able to deal with the significant uncertainty involved in estimating capital requirements and achieve our aim of a sound financial system." "Allow me to put this one in two hundred year assumption into better context for New Zealanders by relating it to the all too frequent earthquakes we experience right here at home. As we all know, we experience small earthquakes quite frequently, most of which are not felt by most of us. However, what everyone worries about is the ‘big one’, i.e., the one in five hundred year earthquake. We don’t know when the ‘one in five hundred’ will happen, but we know that when it does happen it will be big. That’s the basic concept behind the one in two hundred concept we’re talking about in this current capital consultation," says Bascand. "This may sound like a high-bar to set, but it’s important to remember just how damaging banking failures can be, not just in economic terms, but more broadly in terms of mental and physical health, and general societal well-being. It’s also important to remember that the societal impacts tend to go well beyond the initial year of a banking crisis." "I would like to reiterate that we are currently consulting on our proposed minimum capital requirements, including the risk appetite setting that we have chosen. As I have previously stated, it is ultimately society that will bear the wider costs of a financial crisis. As such, we would like to hear New Zealanders’ views on whether the one in two hundred year risk appetite setting is appropriate for New Zealand," adds Bascand. The Reserve Bank, Bascand says, estimates the increase in lending margins due to its proposals, the difference between bank lending and borrowing rates, will be about 40 basis points assuming bank shareholders settle for a lower return on equity due to the bank’s lower risk. "This 20 to 40 basis points change represents a combination of deposit, and other creditor, rates falling and lending rates increasing. That is, interest rates on deposits and other bank liabilities will fall to make up some of this margin, and lending rates for borrowers will rise a bit to make up the remainder," says Bascand. "Higher lending rates can dampen investment and lead to lower potential output. However, in the short-term our own models suggest that the impact on lending rates will be little more than ‘noise’, something that will likely be drowned out by wider economic factors. Looking at this from a longer horizon, academic literature implies that this could lead to a fall in long-term GDP of around 0.17%, less than a fifth of a percent. We think that’s a small price to pay for reducing the risk of a crisis, and the economic and social chaos that accompanies it." In the speech Bascand also discusses the Reserve Bank's proposal to level the capital playing field between New Zealand's big four Australian owned banks and their rivals. The four are allowed to use the internal models approach while other banks use the standardised approach. "For many years, we have observed that banks using their own internal models produce lower capital requirements relative to the other banks, which provides them with a competitive advantage that we don’t think can be fully justified based on a difference in their underlying risk profiles. As such, we are proposing to limit this gap by capping the reduction in capital that banks using their own internal models can achieve relative to all other banks. This is commonly referred to as a ‘capital floor’," says Bascand. The proposals would see ANZ, ASB, BNZ and Westpac increase the assets they use to determine the minimum amount of regulatory capital they hold to the equivalent of 90% of what's held by other NZ banks, up from about 76% now. Although New Zealand's history with bank failures may be limited, with the last one BNZ in the late 1980s, Bascand notes the past is not necessarily a good predictor of the future. "So we must view bank failures in New Zealand as a real possibility and ensure that banks in New Zealand are resilient enough to withstand severe losses." "We would expect that the impact of bank failures would be broader and harsher the larger and more intertwined the failed banks are with New Zealand’s economy. Not only do New Zealand’s large banks employ a significant number of New Zealanders, but these banks also provide the vast majority of financing for individuals and businesses in New Zealand. And because bank failures, and even ‘near failures’, usually result in significant credit tightening, as banks begin to strengthen their balance sheet by restricting credit to only the most creditworthy borrowers, it could be expected that some New Zealanders and New Zealand businesses would not have access to the same level of credit as before. This could mean that it may be more difficult for individuals to borrow to buy a car or home or pursue further education, and businesses may have trouble borrowing to meet their short-term cash flow needs. The decrease in available credit could have disastrous impacts on New Zealand’s economy," says Bascand. Bascand's speech entitled Safer banks for greater wellbeing, uses the word "wellbeing" eight times including in the title. The deadline for submissions on the Reserve Bank proposals is Friday, May 3. The Reserve Bank then expects to publish final decisions in the third quarter of 2019. *You can also see a video interview with Reserve Bank governor Adrian Orr on bank capital here, and Interest.co.nz's bank leverage page is here. Closing the gates after the horse has bolted. Hmmm more like the gate is open but the horse is still standing there, ie we have had no melt down (yet) ergo we have the opportunity to close the gate. What does your statement mean? I would assume that "the horse has bolted" refers to a bank failure and "closing the gates after",means that what the RBNZ is proposing would be too late.Why? The whole point of raising the banks' capital is first to make reckless behaviour less likely because they would have 'more skin in the game' and second,should the worst happen,to have more capital available to absorb losses before depositors start to lose money. Without any explanation,your statement is essentially meaningless. And one would also hope optimistically that RBNZ's earlier measures taken to reduce risky lending (e.g. LVR rules) have at least kept the emperor in his undies, if not all his clothes. Yes yes, all this should have been done years ago. Banks need regulation otherwise its just 1s and 0s and greed driving the bus. If this happens I suspect high leverage interest only lending will stop quick smart as it will be their money at risk, not yours and mine. Not just banks, self regulation just does not work in most cases. In fact I am having diffuculty in coming up with an example where self-regulation has actually worked. Should a system be set up correctly then I don’t see why self regulation would be so bad? I bang on about this a lot but imagine banks without the power to create money (credit). They would live and die by the quality of their lending. If one was to fail under a sound money system it would be dramatically less painful than a bank failing now. I agree with this, however this leaves me wondering how did it get this bad and why is it now so late in the game that the RB is now "thinking" of doing something. Personally I see a 2nd Great Depression in our nearish future ie within a decade, and probably significantly less. So the RB is simply too slow, 2 decades too slow actually. So why so slow? and even, why now? A depression will most likely come from the real estate and share bubble, and debt bubble collapses in China. Yes, the share market would be the fastest and expected way. In fact I'd bet on this being the sector the crash accelerates in aka the 1st Great Depression. Now what triggers that share market panic? yes china is a mess. Trump triggers it? quite possible. Banks are all about money, Steven, and money is power (most see). i suggest that the banks, probably in the US have lobbied the politicians to loosen the strings, or not apply them in the first place. To achieve this they have lavished gifts, promised good paying jobs, funded election campaigns and so on. And the rest of the world has meekly followed suit. The RBNZ real impact will be on how the asset side of a bank is managed. Not the liability and equity side. As I have repeatedly said, if a the even is really a bank toppling event, then 15% is hardly better than 10%, and if not, the 10% barrier should do. The lending behavior of a bank is were such a failure can be prevented, not how much "buffer" when it happens. Interesting point but a bit black and white? ie by the same argument why not 5% or even 0%? Not sure how you regulate for behaviour? But by forcing skin in the game that should regulate behaviour, putting your own money at risk usually does make you focus IMHO. The issue is the corporate structure for a bank or a deposit taker allows banks to accept high risks as it will come at the expense of deposit takers while the rewards all go to the shareholders. I believe that banks should belong to its deposit holders not "shareholders". All the risks and rewards are then fairly distributed to the deposit holders and we wont think about bank failure in terms of who incur losses (shareholders vs deposit holders) but that they make those losses. 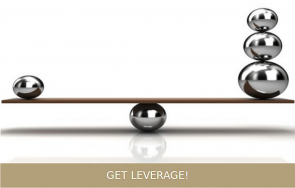 Another aspect of leverage to consider is that of total money/total debt (credit). This is a macro view which shows the total leverage in our economy. Credit is a claim on money... this is a leverage ratio of about 22.5.
the reason this ratio is so much higher than an individual Banks debt/equity ratio is that one mans debt can become another mans asset. eg. a bank shareholder might have borrowed money to provide equity to the bank in exchange for shares....etc. Another thing to ponder is how much "fiscal drag" this level of leverage, ( debt servicing/debt burden ) must have on an economy...?? Banks have very low Return on Assets (ROA) so in order to generate a "reasonable" Return on Equity (ROE) they need to be highly leveraged. It's unfair to compare banks with other businesses. Apples with Oranges. So shareholder returns drive leverage thus it's a question of whether banks are putting the interest of shareholders (higher leverage) too far ahead of the interests of society (lower leverage). I personally think that the pendulum is too far swung in the direction of shareholders and that they should accept a lower ROE in order to protect society more (aka reduce bank failure through less leverage/more capital). Just be sure you understand the dynamics behind exactly why banks are so highly leveraged first so you're not misled. It'd also be great to see a Glass-Steagall type separation of commercial and investment banking being talked about. That would protect us all from the derivatives market. My only fear is that it's 2019 already. Bad stuff is already happening, and five years is a long time. I agree. Have you looked at the RB's Dashboard. That shows the derivatives positions of the big 4 and the interesting one is ANZ. They have big positions and should the proverbial hit the fan,the negatives might well prove to be stickier than the positives. I bank with ANZ,but don't hold their shares.